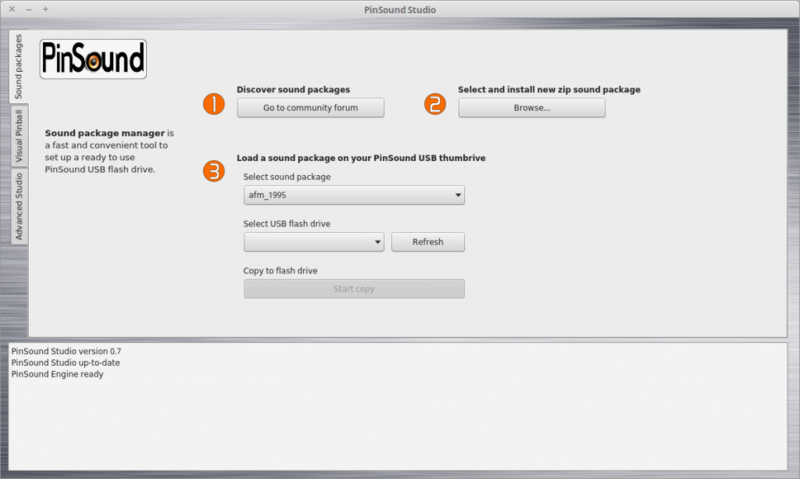 The PinSound Studio software is not mandatory to install or configure your PinSound board. Have a look of a quick overview of the complete framework here. The PinSound board and Visual Pinball are able to “record” sound events sent from the CPU (from a real machine or emulated game). 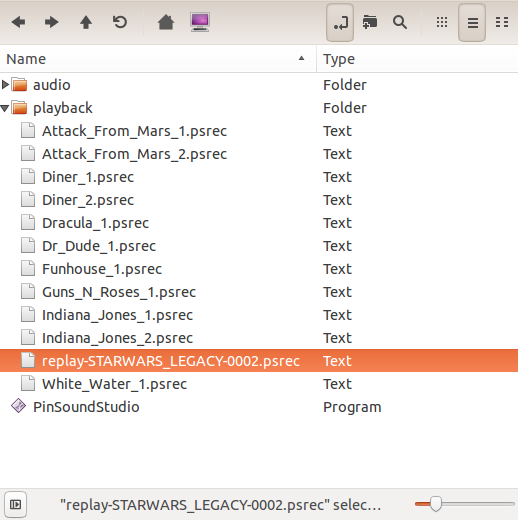 With this file, you can replay a complete game in the PinSound Studio. Thus, you can easily fine tune your own sound package. 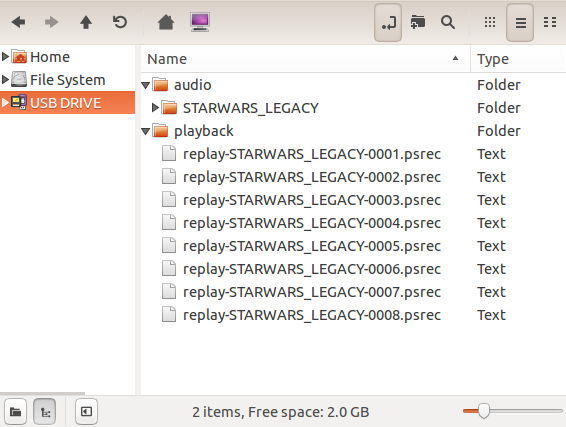 Simply copy the psrec file to the “playback” folder of PinSound Studio among the other record and start the software. 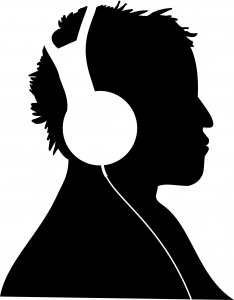 You are now ready to replay the audio part of the just played game. This allows you to preview, work or sort audio mix of either your creation or from the community! 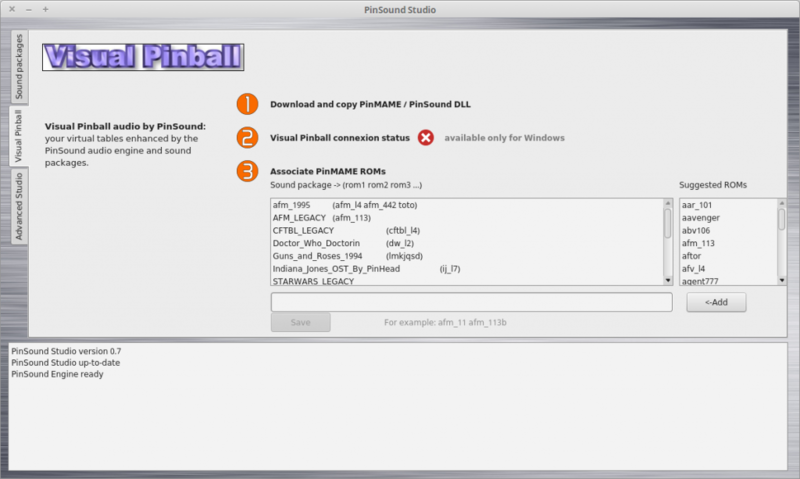 Visual Pinball is now compatible with PinSound Studio. Enjoy the PinSound audio engine with your favorite virtual tables! Furthermore, you will be able to record “.psrec” files during games. 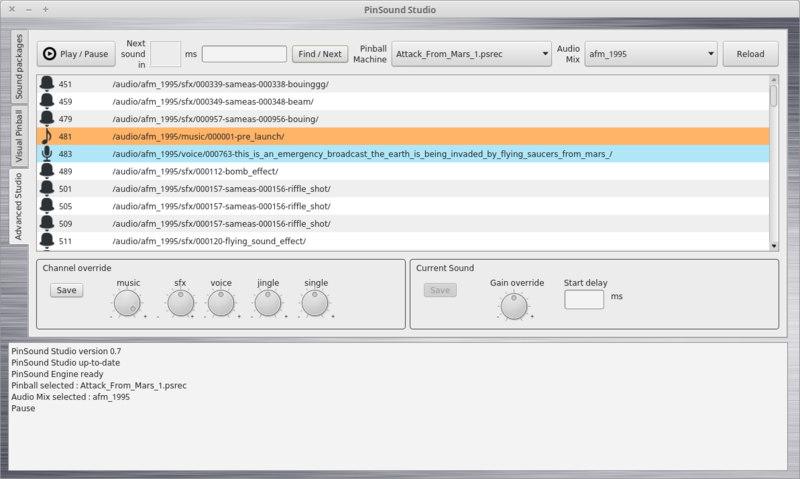 This “.psrec” file is simply a recording of sounds instructions that you can replay in the PinSound Studio to improve your own sound package creation. A “PinSound” folder will be automatically created in the VPinball.exe folder. Once the game ended, copy the “XYZ.psrec” file in the “playback/” folder of the PinSound Studio software.